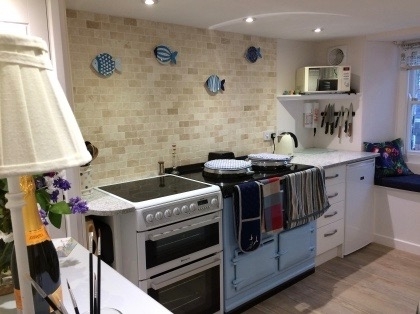 Beachside pet friendly cottage, ideal for family holidays or couples seeking some relaxing time-out, homely, cosy and comfortable, with newly updated kitchen, 3 bathrooms, garage parking and WiFi access. 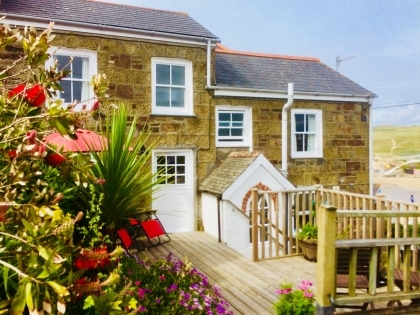 This 18th century cottage, a much loved holiday home, overlooks the stunning 3 mile beach at Perranporth. 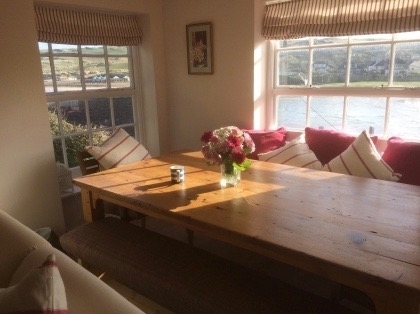 This North Cornwall self-catering beach cottage is the end terrace nestled in a group of traditional Cornish stone cottages, one of Perranporth's oldest buildings and famously built, legend has it, by a smuggler with sudden wealth mysteriously acquired following a final run across to Cherbourg! 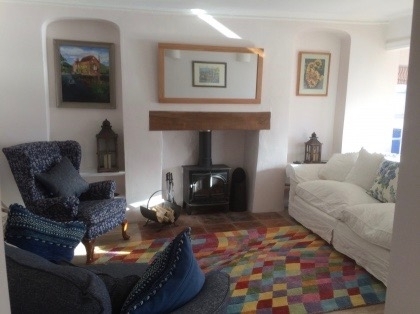 Newly renovated and well equipped, the cottage is in an enviable location - great for walkers all year round, convenient for families who love the beach in summer, and cosy for romantic breaks in winter - a great base for a relaxing time with friends and family and exploring the best of Cornwall.